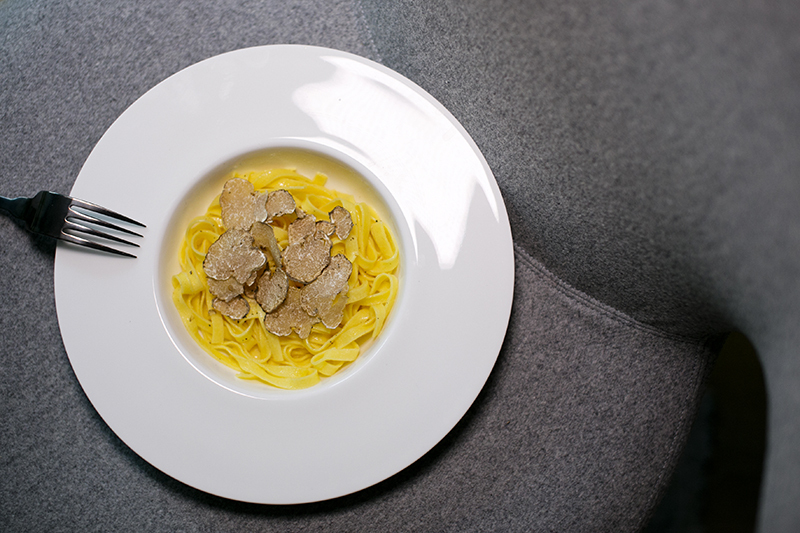 Carefully shaving white truffle on top of buttered tagliolini pasta? Culinary magic…! Experiencing Truffles in every aspect, from the woods to the table, the precious fruit of the earth. 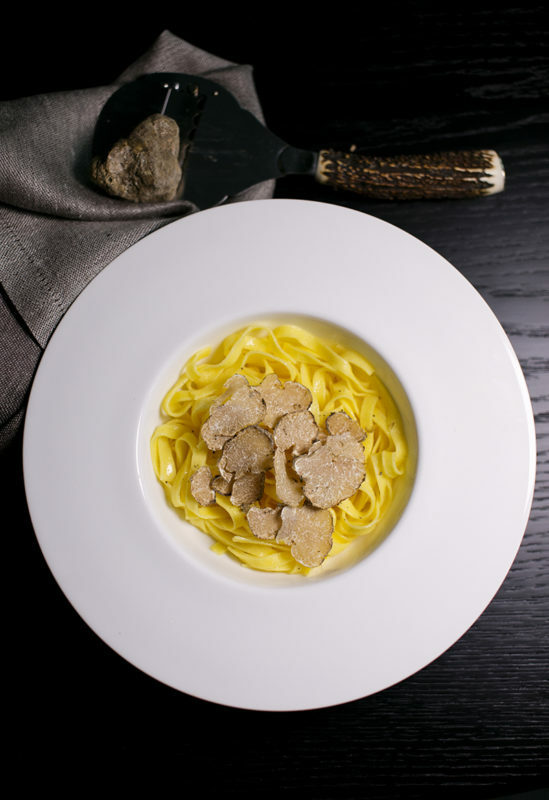 The Truffle experience is a total immersion in the mysterious world of truffle , an exclusive experience for wine and food lovers. The truffle hunter will show you how to find truffles walking through the woods, how to use them in the best way, giving all the secrets, and how to cook and enjoy them. *Remove any dirt or soil from the truffle very carefully with a mushroom brush. Do not wash as the truffle should be kept dry and not get mushy or spongy. 1. To make the sage butter: Rub the garlic clove around the inside of a medium sauce pan. Discard the clove. Melt 6 tablespoons of the butter. Add the sage, salt and pepper (to taste), and cook gently for about 5 minutes, letting the butter bubble, but being careful to not to let it toast. 2. In a large pot, bring chicken stock to a boil. Salt generously and add tagliolini. Cook pasta until al dente, then drain, reserving 1 cup of the hot chicken stock. 3. Into a large, warmed serving bowl toss the tagliolini with the sage butter. Cut remaining 2 tablespoons of butter into pieces and add to the tagliolini, tossing again to bind pasta. 4. 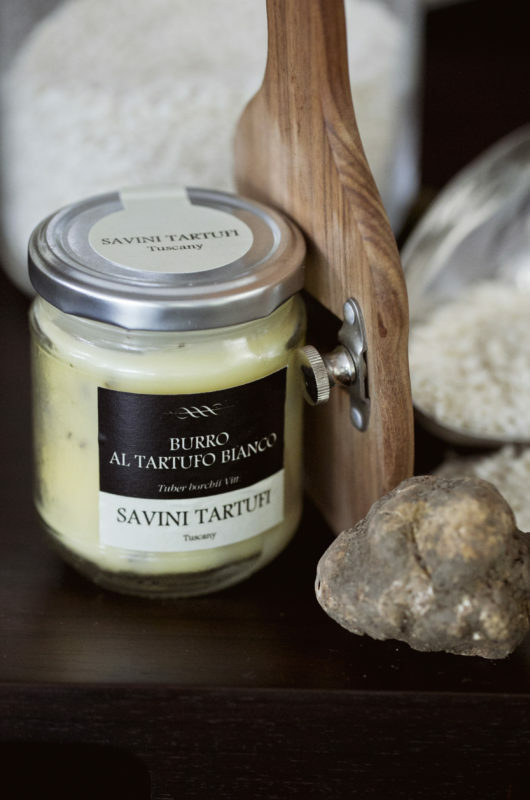 Salt and pepper to taste, and serve on heated plates with shavings of fresh white truffle.